Luis Suárez is through to the round of 16 of the Russia World Cup as his national team finish first in the group. Uruguay maintain their perfect run after their third win in a row with a fantastic performance against the hosts Russia, who went through in second (3-0). 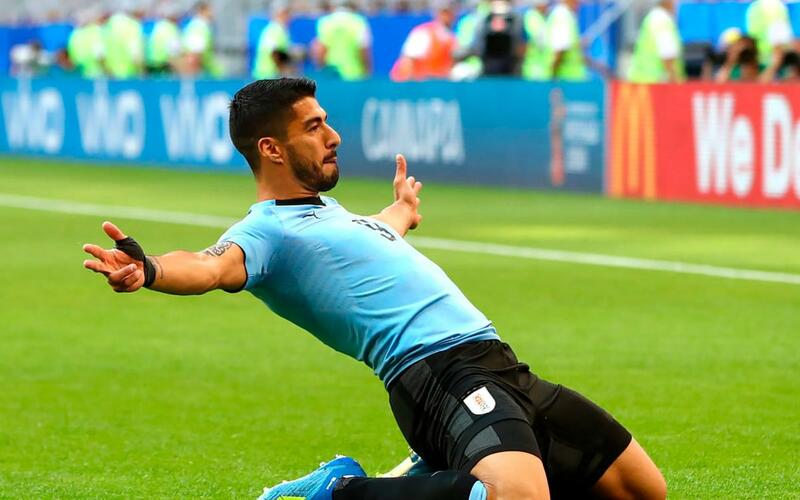 The South American side started well and the blaugrana Suárez managed to score the opener, his second of the World Cup, with a powerful free kick in the 10th minute. A Laxalt shot then rebounded in off Cheryshev’s chest to make it 2-0 thirteen minutes later. The victory was complete when Cavani scored the third and final game in the 90th minute. Russia had to play for an hour with only ten men as Igor Smolnikov saw red. Uruguay have secured 9 points from a possible 9 and they go into the round of 16 with wins over Saudi Arabia, Egypt, and Russia. They will play the second qualifier from Group B, which could be Portugal, Spain or Iran.